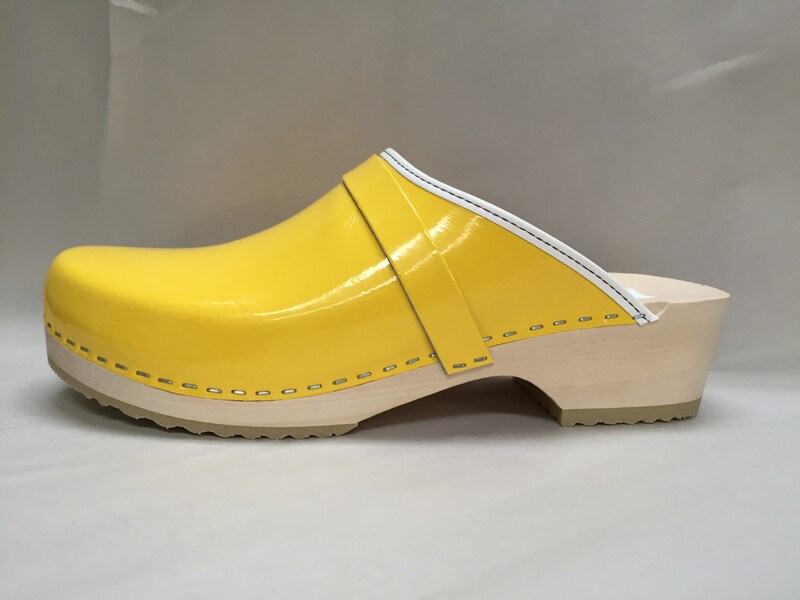 Swedish Coated leather in yellow patent, classic full clog. Made up on a Natural wood Low heel 1 3/4"-2”. Made here with a collar band and Finished with white binding around the collar. So timeless!